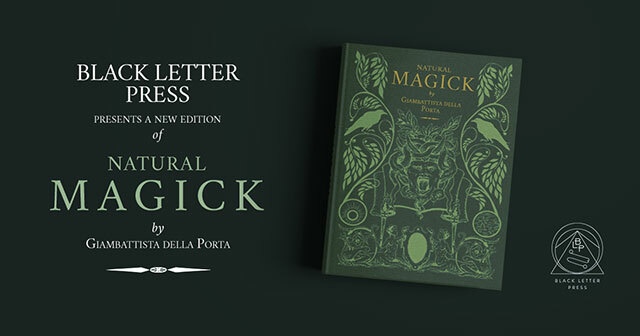 Black Letter Press is crowdfunding an exquisitely illustrated new edition of Natural Magick by Giambattista della Porta, the 1558 book about the occult that was listed in an idex of forbidden books. Natural Magick was first published in 1558. Giambattista della Porta was a magus, or a natural magician, who searched nature for similarities that would serve to build a broad template of forced understanding of seeming likenesses, looking for the great connector in the exceptional and the unusual, the stuff outside of the formerly Aristotlean world. Porta writes in the first chapter, defining the word “magic”: “Magic took her name and original [sic] from Persia… In the Persian language, a Magician is nothing else but one that expounds and studies divine things; and it is the general name of wise-men in that country… Magic was begun in Persia by Zoroastres”. Therefore it is not a book of ceremonial magic, spells or any religious topics but an encyclopedic work of natural wonders, a gold-mine of information and clever wishfulness written at a time when science was still in its infancy. Magic is described as a specific science of natural objects. Natural Magic concerns itself with a variety of subjects della Porta had investigated such as magic, alchemy, optics, geometry, cryptography, magnetism, agriculture, the art of memory, munitions, and many other topics, all grouped together and refined, distilled, into a compendium of natural knowledge. While some of della Portas described Experiments on living animals and Humans might seem curious and quite cruel to the modern reader, his researches in optics were visionary. He gave the world the first published description of the convex lens and the camera obscura. Though he did not invent these, his work is perfecting and describing them, and their inclusion in Natural Magick, contributed to the dissemination of this knowledge. The first edition of Natural Magic (1558) ended up on the spanish Index of forbidden Books due to Porta’s naturalistic approach to witchcraft and necromantic arts. 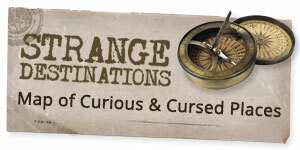 A second version in 1589 was purged of the infamous – and one of the few passed on – recipes for a witches unguent. Della Porta speculates in this banned chapter, that the witches flight and orgiastic encounters with demons and the devil had a natural explanation. Hallucinogenic plants were used to create the flying ointment – a material substance with occult, but non-demonic properties. Back this project on IndieGoGo right here.